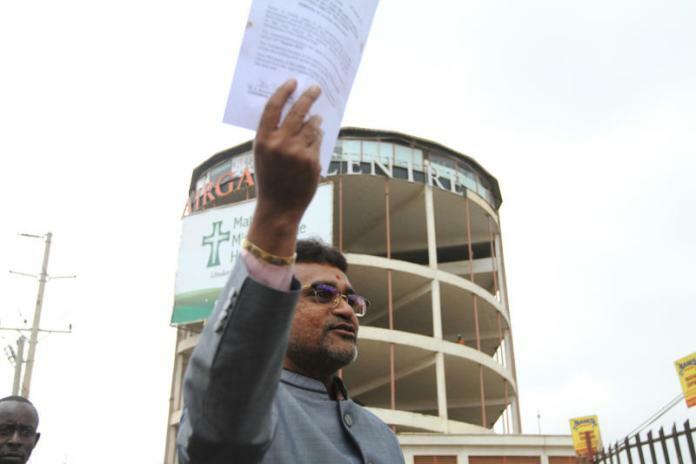 Rameshchandra Gorasia, the owner of demolished Nairobi’s Airgate Centre (formerly Taj Mall), has joined politics and will now battle for the Embakasi South Parliamentary seat. Gorasia who has already been cleared by the Independent Electoral and Boundaries Commission (IEBC) will run on a Democratic Party (DP) ticket. Gorasia will battle it out with Julius Mawathe of Wiper and Irshad Mohamed Sumra of Orange Democratic Movement (ODM). Other candidates include Angela Mwikali (Thirdway Alliance) and Jafferson Teddy Kasingu (KANU) and Jairus Mulei Musyoka (Independent). Jubilee Party will not field a candidate. The contest has drawn a lot of political storm with Nasa affiliate parties ganging up against the ODM, accusing its leadership of arrogance and lack of a team spirit. The campaign period for the by-election is set for February 4 to April 2 and be conducted between 7am to 6pm. In a schedule published by Chebukati in a Gazette notice, the Political Parties Disputes Tribunal, is expected to hear and determine matters arising from the party primaries by February 15. Gorasia’s Ksh2 billion Airgate Centre was demolished on September 2018 for allegedly sitting on a road reserve.